Ill fitting and incorrectly installed car restraints are a common problem with family vehicles. Imagine installing your child’s car seat and getting it right with a perfectly safe fit every single time. There’s a car seat for that! The self-installing car seat from 4moms is nothing short of brilliant. If ever technology was going to be incorporated into an infant’s car restraint, 4moms have done it magnificently. The self-installing car seat base, combined with its very own app on your smart phone, automatically levels upon being latched into ISOFIX points, as well as pinpointing the perfect tension by tightening the latch straps. There’s no second guessing and no room for human error. When using the 4moms self-installing car seat correctly, you’re guaranteed a safe fit every time. 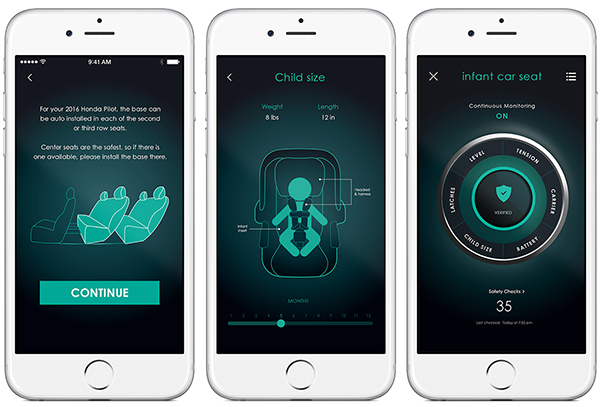 Designed to carry infants weighing as little as two kilograms right up to a 13 kilogram toddler, the self-installing car seat together with the app is so clever it monitors fit constantly. It even monitors your child’s growth, letting you know when your child has outgrown the seat! Unfortunately at this time, the seat isn’t available here in Australia, but for our readers abroad, we think this car seat is amazing and offers such peace of parental mind. The Self-installing car seat will be available from June 2016 and will be priced US$499, head on over to 4moms to find out more. Of course, we’ll let you know right away if and when it comes to our shores.